Southampton Cultural Center (SCC), a 501(c)(3) non-profit organization, combines art, education, dance, music and theatre to engage and nourish the entire community with the arts. Established in 1985, SCC serves all East End residents and visitors by providing a variety of programming including classes, art exhibition and live performances for children and adults at affordable prices. A bequest by the late Willard Levitas and his wife Aura allowed a renovation and expansion that led to the 2006 opening of SCC’s lauded performance space the Levitas Center for the Arts. To provide performance, exhibition; and compelling arts and cultural education opportunities accessible to all in the greater Southampton community. 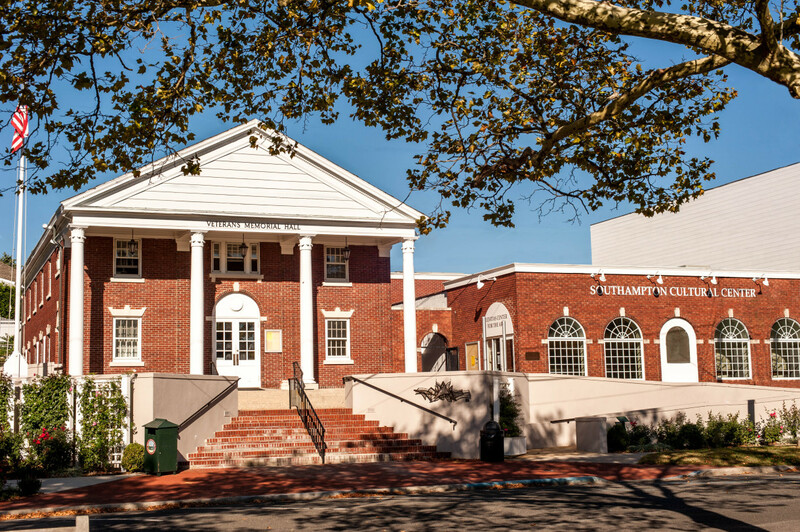 As a major contributor to the vision of Southampton Village, the Southampton Cultural Center engages our diverse community, and nourishes excellence in all creative art forms as a dynamic venue for programs centered on education, exhibition and performance. We are committed to taking a leadership role in the expansion of the Southampton Village Arts District. Follow Montauk Highway into Southampton Village. Proceed along Hill Street to Pond Lane, and turn right. The Southampton Cultural Center will be on your right at 25 Pond Lane. Follow Sunrise Highway/Route 27 to Southampton. Turn right at North Sea Road (at theGulf station). Proceed through Southampton Village. North Sea Road will become Main Street. Turn right on Jobs Lane. Turn left on Pond Lane. The Southampton Cultural Center will be on your right at 25 Pond Lane. Follow Route 27 to Southampton. Proceed into Southampton Village via Hampton Road(intersection at the Princess Diner). Continue into the Village and turn left at Main Street. Turn right on Jobs Lane. Turn left on Pond Lane. The Southampton Cultural Center will be on your right at 25 Pond Lane.